When Tyler spoke of Byzantium and the Byzantines, it always sounded as if he had lived among them. Carl J. Burckhardt, November 26, 1953Carl Jacob Burckhardt, Max Rychner, and Claudia Mertz-Rychner, Briefe: 1926–1965 (Frankfurt: S. Fischer, 1970). The letters of this brief period are relatively few in number, and they are often relatively short in word count as compared to the letters of previous decades. In these fifty-nine letters, Royall Tyler makes no recommendations of artworks to acquire, although he is instrumental in seeing and appraising Tommaso Bertelè’sTommaso Bertelè (1892–1971), an Italian diplomat, scholar, and collector. Bertelè studied social science in Florence and entered the Italian Foreign Service in 1915. He was secretary of the Consiglio Supremo (Supreme Council) at the Versailles Peace Conference of 1919. In 1920, he began the first of three postings in Geneva at the League of Nations, for which he undertook work in Rome, Portorož, and Istanbul. Beginning in 1926, he served as secretary of the Italian legation in Berlin, Buenos Aires, Asunción, Paraguay, and Montevideo, Uruguay. In 1938, Bertelè was appointed Consul General in Sarajevo and in 1939 became Italian ambassador to Bogotá. Beginning in 1942, he headed the Department of History at the Italian Foreign Ministry. During his lifetime, Bertelè acquired some 10,000 coins, mostly Byzantine. Byzantine coin collection in RomeRoyall Tyler to Robert Woods Bliss, August 9, 1952. Dumbarton Oaks acquired the Bertelè coins in two groups, one in 1956 and the other in 1960. and Georges Zacos’sGeorges Zacos (1911–1983), a Greek antiquities dealer and collector of Byzantine seals. Born in Istanbul, he first worked for the antiquities dealer Andronikos in the Grand Bazaar before becoming an independent dealer. In the 1960s, he moved his antiquities business to Basel, Switzerland. Byzantine seal collection in Istanbul,Royall Tyler to Robert Woods Bliss, August 12, 1952. Dumbarton Oaks acquired from George Zacos two large collections of Byzantine seals, one in 1953–1955 (5,121 seals) and the other in 1956–1957 (5,753 seals). both of which Dumbarton Oaks would later acquire. 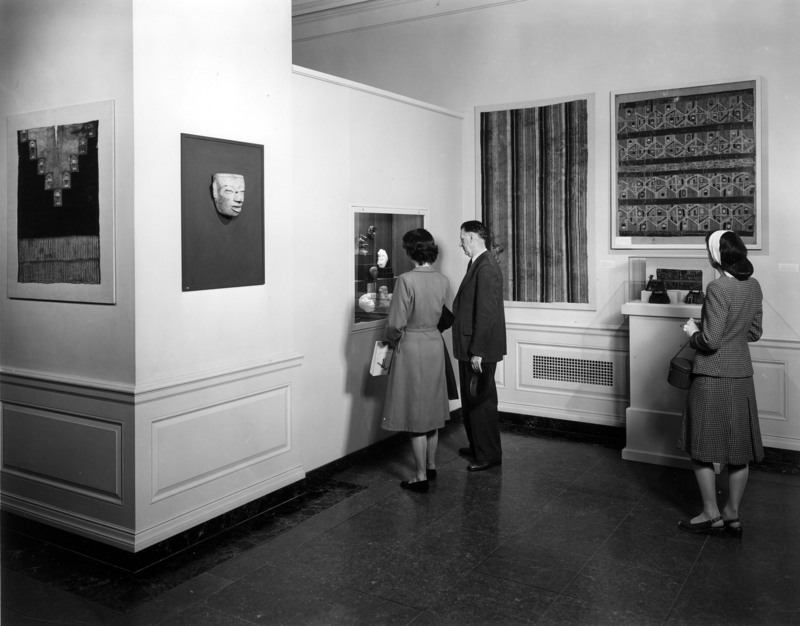 Indeed, by 1950, the Blisses mostly left the selection and acquisition of Byzantine objects to Dumbarton Oaks Director John S. Thacher and the Trustees for Harvard University, and turned to other interests: Robert Woods Bliss to his Pre-Columbian art collection and Mildred Barnes Bliss to her rare landscape architecture book and print collection. Tyler, for his part, was otherwise occupied with setting up the Free Europe College, in Strasbourg, where he served as president until his death on February 3, 1953. The correspondence of this period, which ends with Elisina Tyler’s letter of May 15, 1953, to Mildred and Robert Woods Bliss, makes no mention of his terminal illness,According to scholar Veronika Durin-Hornyik in correspondence with the authors, the daughter of Tyler’s secretary at the Parisian office of the National Committee for a Free Europe confirmed his terminal illness. We are indebted to Veronika Durin-Hornyik for providing this information. which would provoke his suicide.Tyler’s suicide is mentioned in the short biography of Royall Tyler that Walter Muir Whitehill wrote in 1977, which employed materials and information provided to him by William Royall Tyler. Walter Muir Whitehill, Dictionary of American Biography, supplement 5: 1951–1955 (New York: Scribner, 1977), s.v. “Royall Tyler.” This is repeated in Tyler’s biography in Dictionary of Art Historians, s.v. “Tyler, Royall,” https://dictionaryofarthistorians.org/tylerr.htm. Indeed, neither the Blisses’ knowledge of this illness nor their reaction to his death are to be found in these letters or any other known source. Out there in the Near East, I longed for your presence many times, especially in Jerusalem, at the Mosque of Omar, and at Damascus. Also at Cairo—but that’s another world. The astonishment of the trip was the Damascus Museum, which now contains the Doura Europos frescoes, complete, the frescoes (very Byz) from the Vlllth Cent. Ommayad Palace of Kasr-el-Kheir, a great sepulchral chamber full of sculpture from Palmyra, and quantities of other things of our period. And they are putting up, in the courtyard, the facade of the Kasr-el-Kheir palace, having pieced it together by an extraordinary feat of patience and ingenuity from a thousand fragments dug up on the spot and assembled by a young Schlumberger, a pupil of Seyrig, of whom I saw a lot at Beyrouth. The Byz. mosaics in the court of the Great Mosque at Damascus are as lovely as my dreams had pictured them. But they are not properly protected, especially from the pigeons which infest the place and, alighting all the time on the already uneven ledge formed by the coat of intonaco which carries the mosaic, cause tiny bits of the intonaco, with its tesserae, to fall. One can see by the colour of that ledge that the process is continuous. Of course, it’s very gradual—but little drops of water, little grains of sand—and if it goes on uninterfered with I’m afraid that not many years will pass before the damage done is appreciable enough to show on photographs.Royall Tyler to Mildred Barnes Bliss, January 11, 1950. On the strength of his work for the Clapp Mission, Tyler had hoped to be appointed U.S. Commissioner of the United Nations Relief and Works Agency for Palestine Refugees in the Near East, which had been established in December 1949 to provide assistance and protection to Palestinian refugees in Jordan, Lebanon, Syria, and the occupied Palestinian territory. This appointment, however, did not come through. 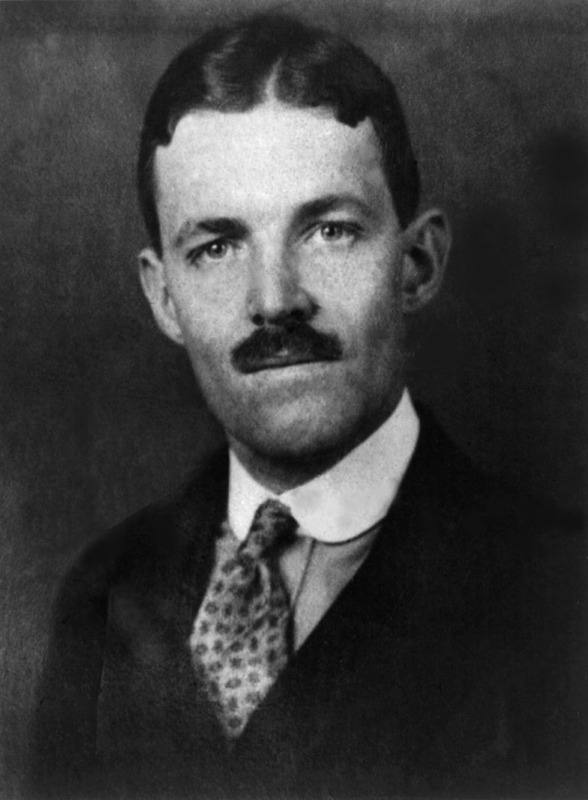 Disappointed, Tyler turned to his friend Allen Dulles, with whom he had worked closely during the Second World War. In May 1950, Dulles recommended Tyler for the position of European representative of the National Committee for a Free Europe (NCFE), an American anti-Communist organization founded in 1949 by the U.S. Department of State and organized, in part, by Dulles. Tyler wrote the Blisses that it was “such a relief to have a human being to deal with, instead of Bureaucracy.”Royall Tyler to Mildred Barnes Bliss, May 29, 1950 . Tyler started the position on June 1st, 1950, moving into a small Parisian office with a secretary and a stenographer, and taking an apartment at 55 Avenue Foch for himself. The new position would require Tyler to travel periodically to New York for meetings with the NCFE, and these trips would enable him to see his friends, the Blisses, in Washington. At meetings held in New York during the first ten days of August 1950, Tyler was asked to be the president of the Association de Collège de l’Europe libre. The role of the association was to establish a Free Europe College in Strasbourg, France, to be funded by the NFCE.See Veronika Durin-Hornyik, “The Free University in Exile Inc. and the Collège de l’Europe libre (1951–1958)” in The Inauguration of Organized Political Warfare: Cold War Organizations Sponsored by the National Committee for a Free Europe/Free Europe Committee, ed. Katalin Kádár Lynn (Saint Helena, Calif.: Helena History Press, 2013), 439–514. The Free Europe College was to open at the beginning of the 1951–1952 French academic year, that is, on November 1st. The college was located on the outskirts of Strasbourg, at the Château Pourtales in the village of Robertsau, although the students took courses at the University of Strasbourg. In a 1952 appraisal of the college, its purposes were given as follows: (1) to make it possible for the youth of the satellite countries to continue their studies, and thus to develop for those countries future leaders who are educated in the spirit of Western freedom; (2) to maintain and safeguard in these young people the links that attach them to the culture and the language of their home countries; and (3) to develop, by means of communal life and special studies, a mutual understanding between these representatives of different nationalities and to form in them a supranationalist and European spirit.Joseph M. Ursyn, “A European University, The Experiment of La Robertsau,” The Tablet, The International Catholic News Weekly 199, no. 5847 (June 14, 1952): 7. The college was closed in 1958. “Indigenous Art of the Americas” Exhibition at the National Gallery of Art, Washington, D.C., 1947–1962, PC.B.NG.040, Pre-Columbian Collection, Dumbarton Oaks Museum. I hope that the collection, once exhibited, will result in awakening not only an interest in the objects of the Pre-Columbian finds which have lain for many years on the shelves of museums of natural history, but that the public will be awakened to the art values which so many of those objects embody.Robert Woods Bliss to Alfred Tozzer, April 21, 1947, Dumbarton Oaks Research Library and Collection, Pre-Columbian Collection files, Peabody correspondence. For the maintenance, operation, and development of the Gardens at Dumbarton Oaks; for the establishment of Visiting or Exchange Fellowships to or from this or other countries for the individual study of Garden Design and Ornament; for the publication of monographs or books on such subjects as garden design and ornament—and incidental decorative horticulture; for the maintenance and enlargement of the Garden Research Library already established at Dumbarton Oaks; for the support of the Garden Information Center; and for other related educational purposes. We do not propose that Landscape Gardening, Horticulture or Botany shall be the aim of the Dumbarton Oaks Garden Endowment Fund, for which subjects Harvard has its own schools. Rather it is our intention that the Dumbarton Oaks Gardens shall serve constructively to advance garden design and ornament through example in design and ornament, through the use of media not always emphasized and through the dissemination of historical, cultural and technical information. Moreover, this fund is not [to] be limited to the actual maintenance, operation and development of the Gardens, which are now supported from the income of the original Dumbarton Oaks Endowment Fund established by one of our letters to you dated July 2, 1940. It is our hope and expectation that the Dumbarton Oaks Gardens may in time attain as high a standing in the study of, and for its publications on, Garden Design and Ornament as the Dumbarton Oaks Research Library and Collection has already attained for its scholarly work and research. Thus will the unusual potentialities of its Gardens be fully realized.Dumbarton Oaks Garden Endowment Fund Number 1, 1951, Dumbarton Oaks History files, Bliss gifts, Dumbarton Oaks Archives. Royall will of course have told you what a sorry loss Tom is, not only as a friend who heightened the interest of life, but also for the work at Constantinople, for which he really was indispensable.For Whittemore’s and the Byzantine Institute’s work in Istanbul, see “The Byzantine Institute and Dumbarton Oaks Fieldwork Records and Papers, ca. 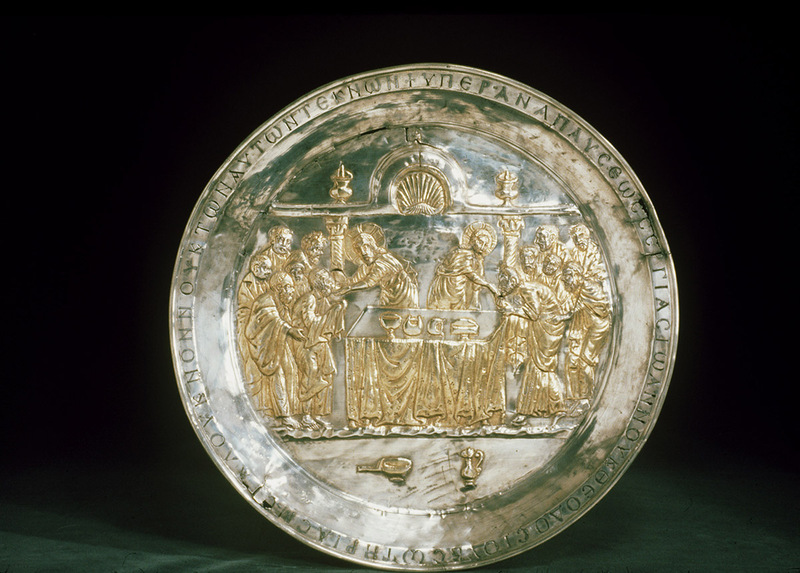 late 1920s–2000s,” Image Collections and Fieldwork Archives, Dumbarton Oaks, http://atom.doaks.org/atom/index.php/byzantine-institute-and-dumbarton-oaks-fieldwork-records-and-papers. One always hesitates to use that word, but in this case it is, alas, only too accurate. Not only did he know more about the Byzantine mosaics than any one, but he knew how to deal with the Turks, which requires a thoroughly Byzantine technique; and the carrying on of the work to completion, as positively must be done, the obtaining of funds, and the coping with the authorities is no light business for the Byzantine Institute to shoulder. However, we have made a start, and Tom’s top technical manThis person has not been identified. is already sur place, and Underwood leaving tomorrow for Constantinople to guide the program as far as may be through the maze.Mildred Barnes Bliss to Elisina Tyler, July 31, 1950. As yet we have not found anyone to take over Tom Whittemore’s work in Istanbul and we are fearful less the Director of the Aya Sofya Museum,The Byzantine church of Hagia Sophia (532–537) had been converted into a mosque following the conquest of Istanbul by Fatih Sultan Mehmed. In 1935, it was converted into a museum. Muzaffer Ramazanoglu,Muzaffer Ramazanoğlu, a Turkish archaeologist and custodian of the Kariye Camii for the Ministry of National Education, the directorate general of Museums of the Turkish Republic, and the director of the Hagia Sofia Museum. may try to be placed in charge of the work. Any such move would be catastrophic. So please send up a prayer for us. I say “us” because, of course, most of this situation has fallen on my shoulders, although John Nicholas BrownJohn Nicholas Brown II(1900–1979), the U.S. Assistant Secretary of the Navy (1946–1949). has accepted to be President of the Byzantine Institute,John Nicholas Brown was a committee member of the Byzantine Institute and in 1950 succeeded Robert P. Blake (1886–1950) as president upon the latter’s death, on May 9, 1950, almost exactly a month before the death of Thomas Whittemore. but of course he is away on a Newport to Bermuda yacht race.Robert Woods Bliss to Royall Tyler, June 28, 1950. I have seen the seals, Jack did not exaggerate. They are of enormous interest; many of them superb as works of art; and many more of the greatest historical interest. I’ve seen Underwood. . . . he has made wonderful progress on those capital mosaics,Fragmentary mosaics were found in a room at the south end of the west gallery of Hagia Sophia. The investigation in this area at Hagia Sophia was one of the first activities undertaken by Paul Underwood when he took over as field director. Ernest Hawkins (1905–1993) conserved the mosaics between 1950 and 1952. fragmentary but of enormous importance, in the chamber above the vestibule at St. Sophia, which are dated, I think undisputably, by the subject matter (the patriarchs of Constantinople who were heroes of the cult of images, and enemies of iconoclasm) in the middle of the IX century.The mosaics survive only in a few fragmentary areas. In the two southern bays of the “room over the vestibule,” to which Tyler refers, there are representations in a lower zone of the twelve Apostles and four Patriarchs of Constantinople. The upper zone seems to have space for about twenty standing figures. The inclusion of St. Methodios in the cycle dates the execution of the mosaics after his death, which occurred in 847. See Robin Cormack and Ernest J. W. Hawkins, “The Mosaics of St. Sophia at Istanbul: The Rooms above the Southwest Vestibule and Ramp,” Dumbarton Oaks Papers 31 (1977): 175–251. It’s hot, but there’s a bit of a breeze, and I find it quite bearable. Plans still uncertain; but I shall certainly be back in Paris before the end of the month. The sudden death in Paris recently of Royall Tyler is a great blow to all who knew him. . . . The privilege of his friendship was an enrichment of life to those who came close to that admirable mind, and in our sorrow we must be grateful for all he revealed to us of existence at its highest level of intellectual excellence.Violet Markham, obituary of Royall Tyler, The Times, March 9, 1953. We have read what you wrote about my father. It means so much to us! How we wish you were here! I cannot get used to the thought that he is gone. But how deeply grateful I am that he was with us, that we saw him, during the whole of his last day. He left us so suddenly, and so unaccountably. Some day I will tell you more. All that you wrote about him has been such a comfort to us. In Washington, D.C., in March 1953, Monseigneur Béla Varga (1903–1995), a Hungarian Catholic priest and chairman of the National Hungarian Committee in New York, organized a requiem mass for Royall Tyler at the Catholic Cathedral of Saint Matthew in Washington. Mildred and Robert Woods Bliss attended and signed the mourners’ book.A Photostat copy of the signatures of attendees is in the Bliss Papers, HUGFP 76.8, series I, box 39, folder: Tyler, Royall and Elisina 1916, 1940–1953. It is, perhaps, poignant that Royall Tyler, who since his teenage years had been fascinated by Catholicism and had contemplated conversion, was after the end of his life offered the Catholic Missa pro defunctis for the repose of his soul. 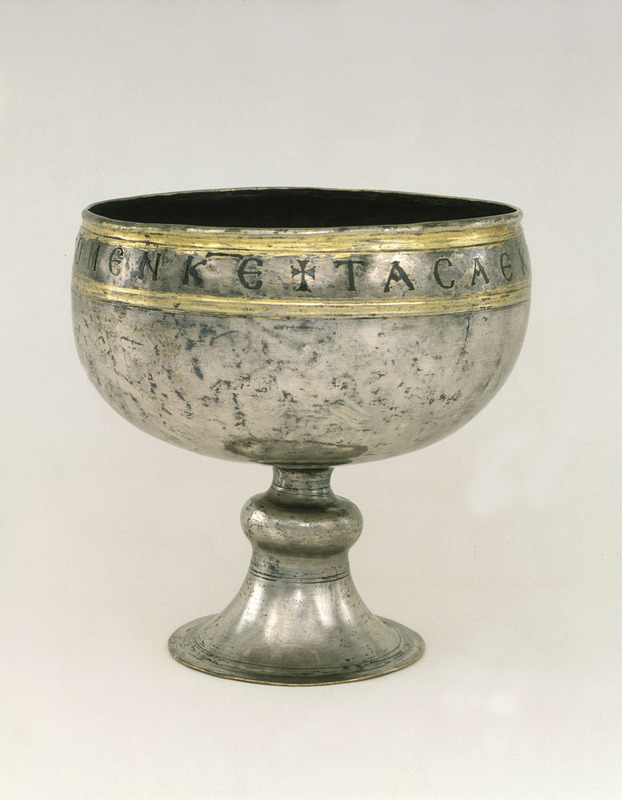 In memory of Royall Tyler’s death, in 1955, Elisina Tyler and William Royall Tyler gave his chalice to Dumbarton Oaks, where it joined the Bliss paten from the same hoard. With this gift, Tyler’s wish—expressed on January 26, 1924—was fulfilled: “it would be a happiness for life to think that the two pieces would one day be joined together and live happily ever after.”Royall Tyler to Mildred Barnes Bliss, January 26, 1924.